The Greek island of Kefalonia is one of those enchanting places that has lured people in to experience its charms for centuries. It is a gorgeous place, filled with a beautiful landscape and stunning beaches. It also has a rich history that spans the centuries, and there are plenty of historical sites to explore, as well. 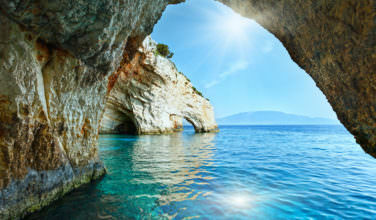 In order to visit the castle, you’ll first need to reach the island of Kefalonia. There are several options available for getting here. First of all, you can fly to the island. 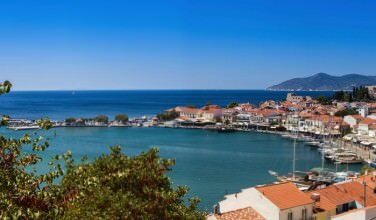 Direct flights can be found from a number of major European cities, although you can’t always be guaranteed a direct flight to Kefalonia. 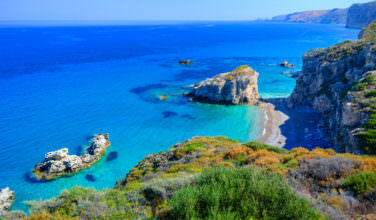 You can also fly to Athens, then take a connecting flight to Kefalonia. 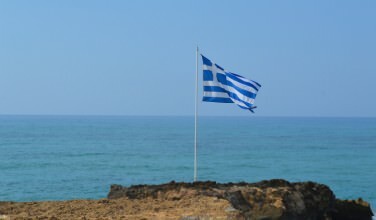 Flights from Athens to Kefalonia run at least once a day, and often times more than once a day during peak tourism season. If you prefer not to fly, you can also take a ferry. Ferries from both Italy and mainland Greece run regularly to Kefalonia. Once you get to thee island, head to Argostolion. From there, it is only about 10 minutes by car or bus from the village of Peratata. From Peratata, you can walk right up to the castle. The Castle of St. George was originally built by the Byzantines in the 12th century, but it’s mostly known as a Venetian castle. The Venetians made major renovations and additions over the centuries, including building the castle’s exterior walls. For a number of years, the castle served as Kefalonia’s capital, before being replaced by Argostolion in the 18th century. The castle is in ruins now, having been devastated not only by time and wars, but also by a major earthquake which struck Kefalonia in 1956. 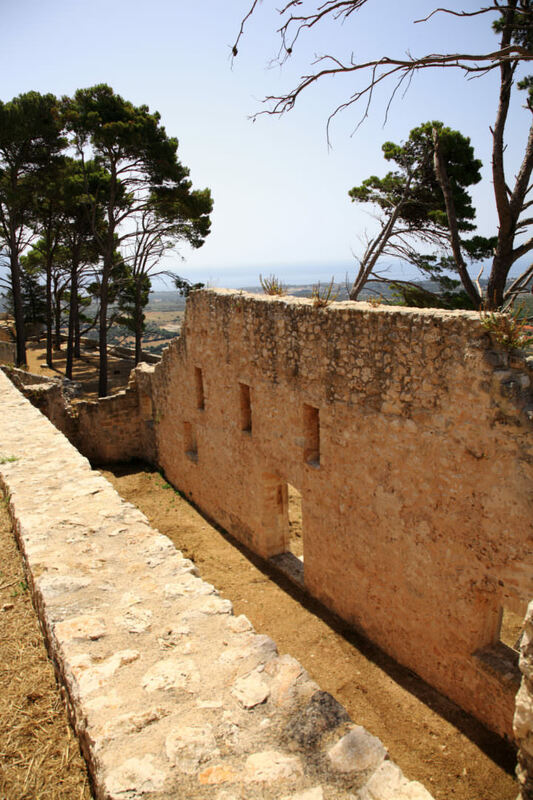 A few buildings survive, and the ruins offer spectacular views of Argostoli and the island. The Castle of Saint George offers amazing views from high ground, with is great for both photographers and people wanting to take in the island. The castle itself is a historical relic, spanning from the Byzantine empire up through modern times. In addition to the castle, the ruins of Evangelistria Church offer an interesting look at the past. Before or after visiting the castle, the nearby village of Peratata offers a quaint local experience, with a handful of tavernas serving excellent regional cuisine. Consider visiting the Castle of Saint George while on the island of Kefalonia. Offering historical interest and sightseeing opportunities, the castle can be reached in a day from Italy and the Greek mainland, and is a regional point of interest.